Easily combine data across multiple companies and track performance. Use ratios and KPIs to track what’s important to your Franchise business. 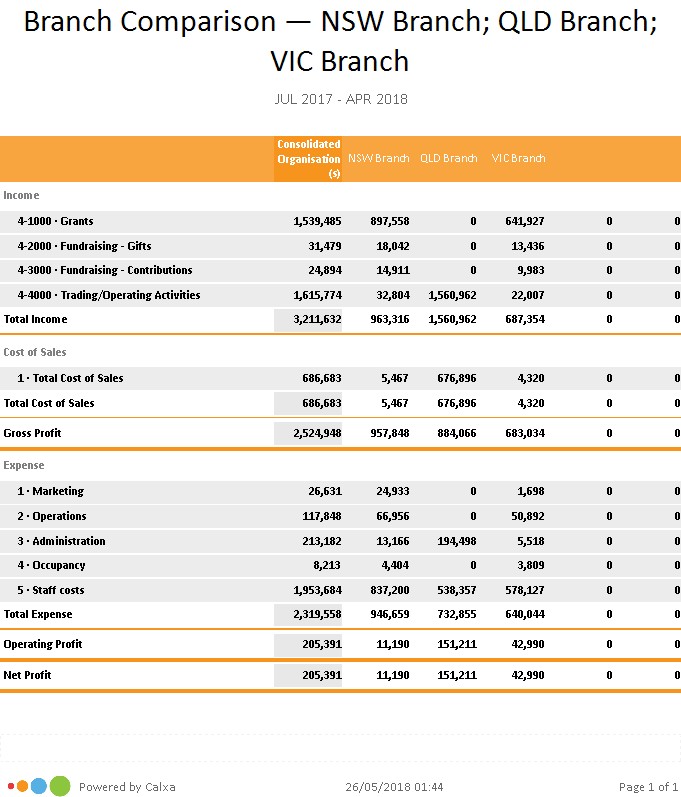 See data for individual Franchisees or combine it across the whole group. 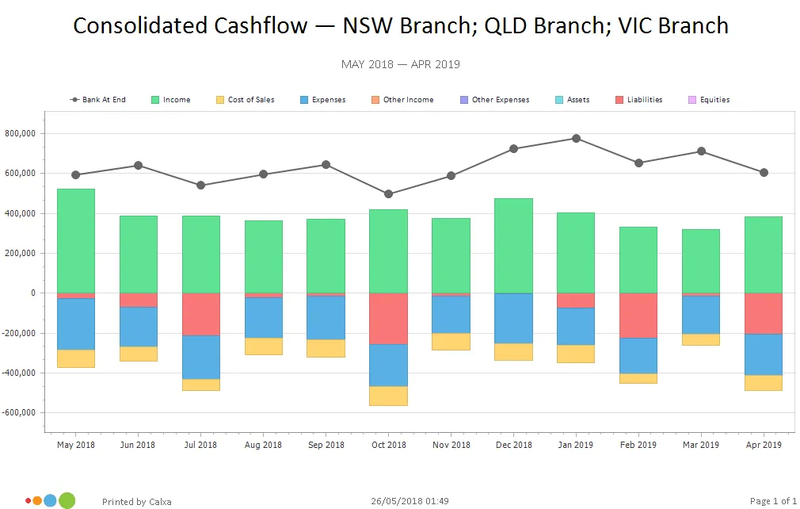 Run cashflow forecasts visually to help with forward planning. I am blown away with Calxa, I think it is great. Budget and report against cost centres, departments or branches. Roll them up into the overall budget. 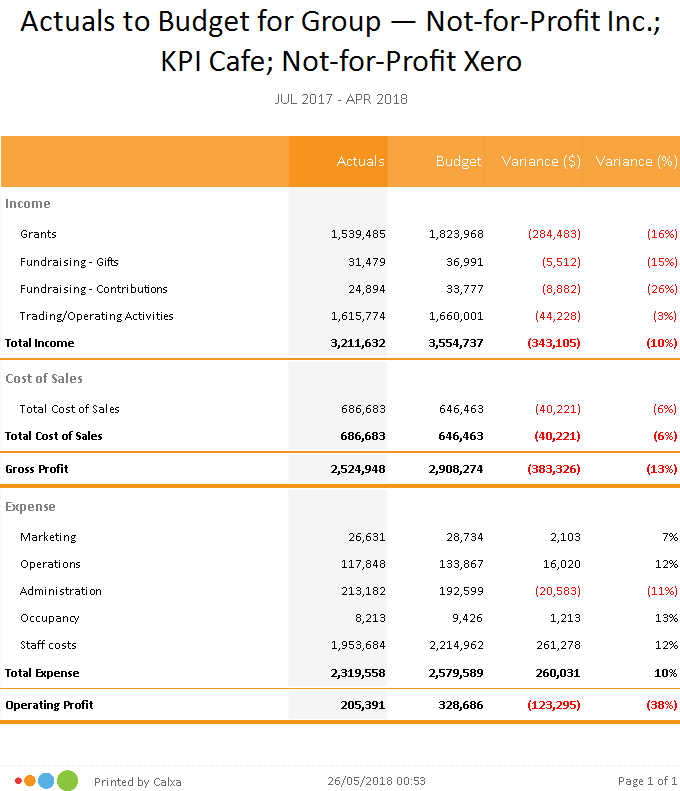 Build custom KPIs to deep dive into the company data. Track standard ratios or build your own. Setting budgets is quick using shortcuts and the budget factory. Or let the auto-budget carry forward last year’s figures as a start. Graphs help setting the picture at a glance. 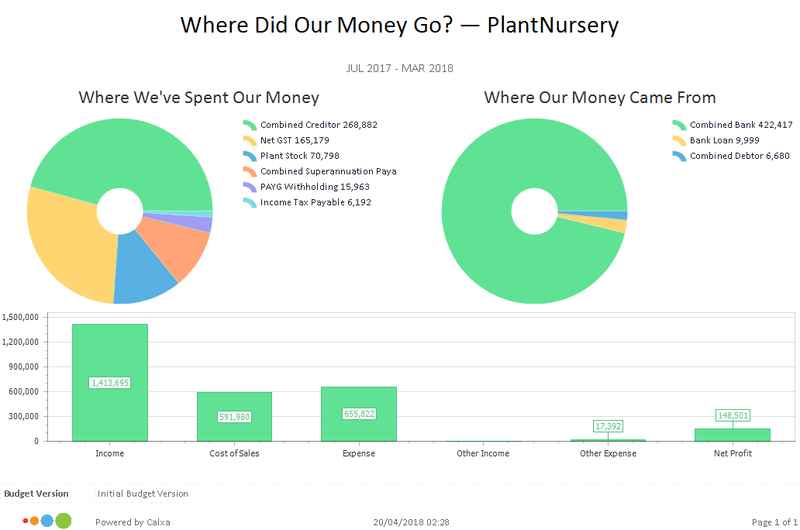 Use bar charts, line graphs or pie chart to better see where you are going. Use report bundles to batch reports, then use workflows to update your accounts and schedule the delivery to your inbox..
Our default dashboard comes with visual images of your current trading. Soon you will be able to put together your own view. Use the many pre-made reports for your weekly or monthly insights. We guarantee they will cover all of your scenarios. We’ve prepared a set of default KPIs ready to go. Debtor Days, Wages to Turnover, Profit Margin …all straight out of the box. Budget and report against cost centres or branches. You can see these at detail level or combine them for a snapshot view. Once set up, you can go on auto-pilot by creating workflows to update your accounts and send your reports directly to your inbox. To plan ahead, easily create new versions of your budget to compare to each other for ‘best case’ and ‘worst case’ comparison.